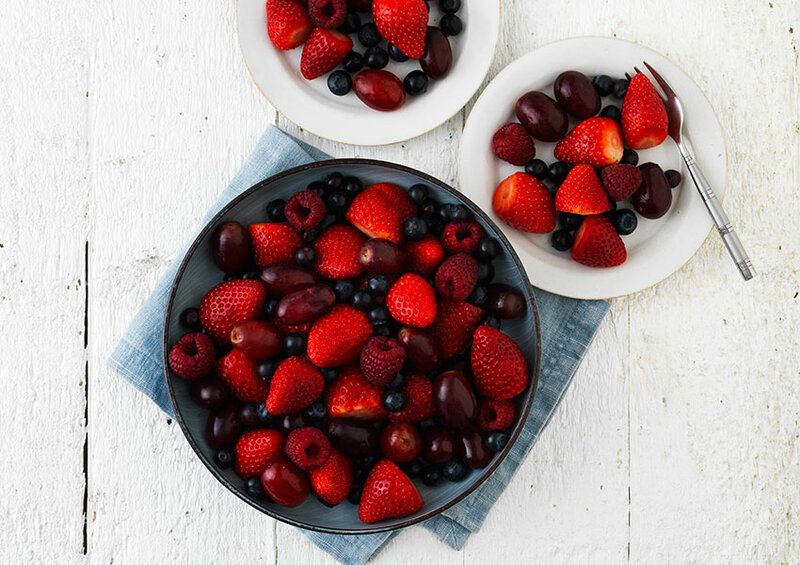 A winning combo of fresh strawberries, grapes, blueberries and raspberries. Strawberry (44%), Grape (33%), Blueberry (17%), Raspberry (6%). Strawberry, grape, blueberry and raspberry.